Together, We can build a better tomorrow! 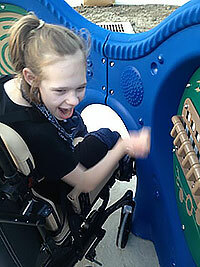 Dyna-Play is one of Louisiana’s most respected playground and recreation equipment consultants/contractors. 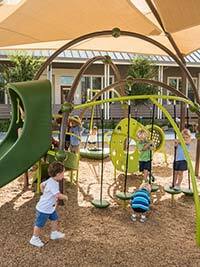 We work with our clients to plan and implement playgrounds, parks, water-play environments, shade structures and pavilions at schools, parks, playgrounds, housing developments, and other public facilities. 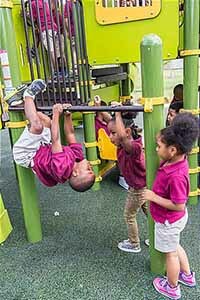 Dyna-Play provides services to schools, parks & recreation departments, housing authorities, government agencies, childcare facilities, landscape architects, and contractors throughout the State of Louisiana. We work with your project’s planning team and budget to provide education, design capabilities and playground and site furnishing products to meet each project’s individual need. We are able to provide AutoCAD site drawings as well as write bid specifications detailed to your specific project. Through factory-certified installers we are able to provide a full turnkey package to the customer. Dyna-Play represents the finest in playground equipment, playground safety surfacing and site furnishing manufacturers, including: Landscape Structures, Urbanscape, WaterPlay, SofSurfaces, Wabash Valley, Rainbow Turf Products, Sun Ports, Classic Recreation Systems and Zeager. We pride ourselves on our thoughtful client consultation, our premiere quality products, our attention to detail, and our exceptional service. We are committed to honesty, integrity, customer satisfaction, and expert knowledge of our products. If you are a school administrator, Park & Recreation director, project planner, landscape architect, contractor or developer in need of playground equipment, athletic facility planning or outdoor play space or parks & recreation consultation, give us a call… we’re here to help and always provide you with a Dynamic Play experience!